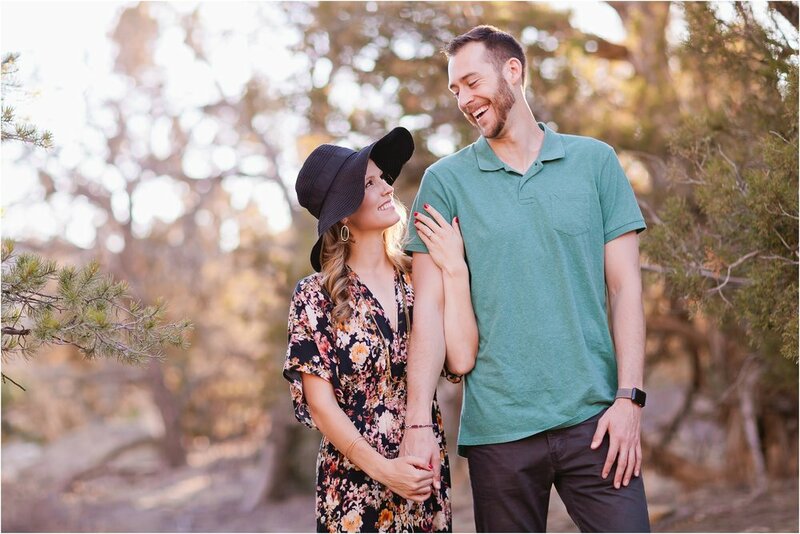 Springtime in the desert ... an amazing couple full of laughter and love for each other ... and blue skies = one amazing engagement session! 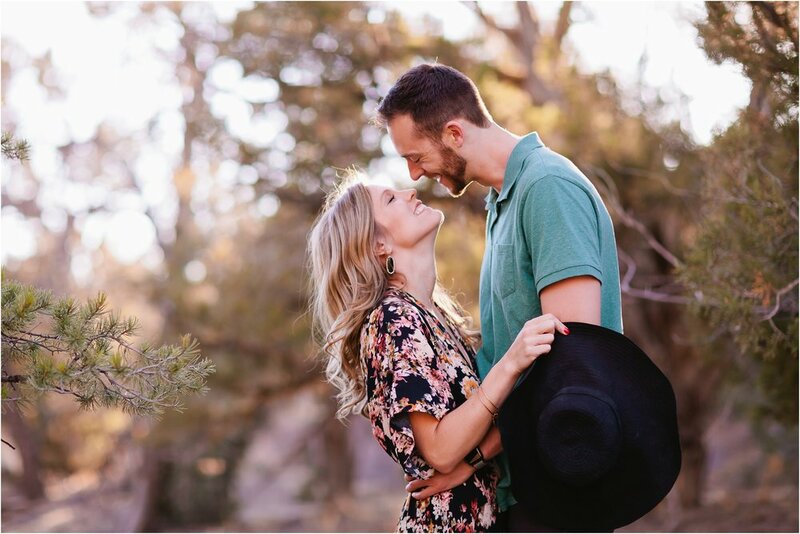 Sam & Tristan are getting married in a couple of months and I cannot wait to capture their wedding at one of my favorite Durango wedding venues, Ridgewood Event Center! 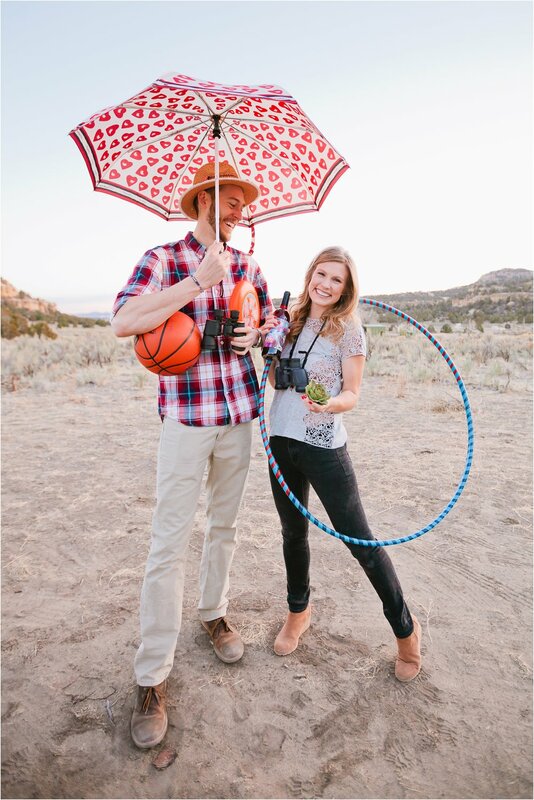 Brides, if you are looking for an amazing place to get married in southwest Colorado ... check them out. Beautiful outdoor ceremony location, gorgeous warm wood indoor venue for the meal and dance, and a great staff. Take a peek at Grant & Kaylee's gorgeous summer wedding that I photographed there a couple of years ago to see more. 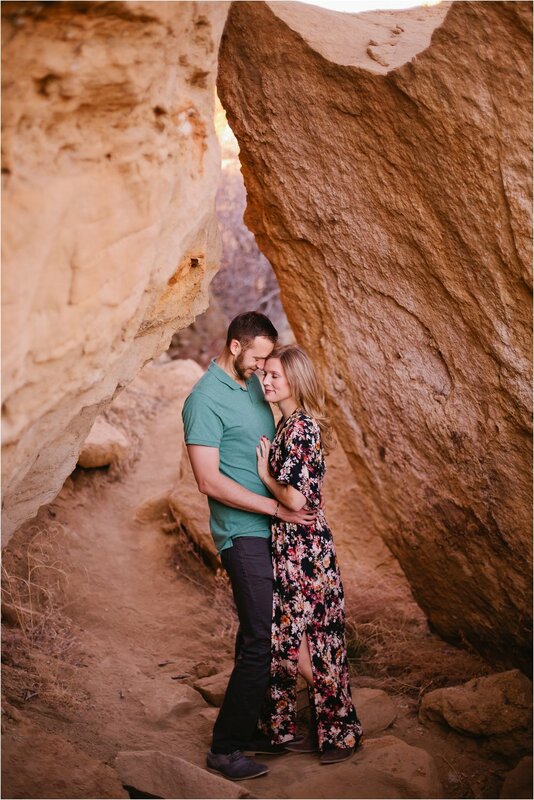 As for this dreamy desert engagement session ~ Sam & Tristan were incredible. They were happy to hike, explore, and Tristan was happy to scramble up rocks in order to get to some fun spots. 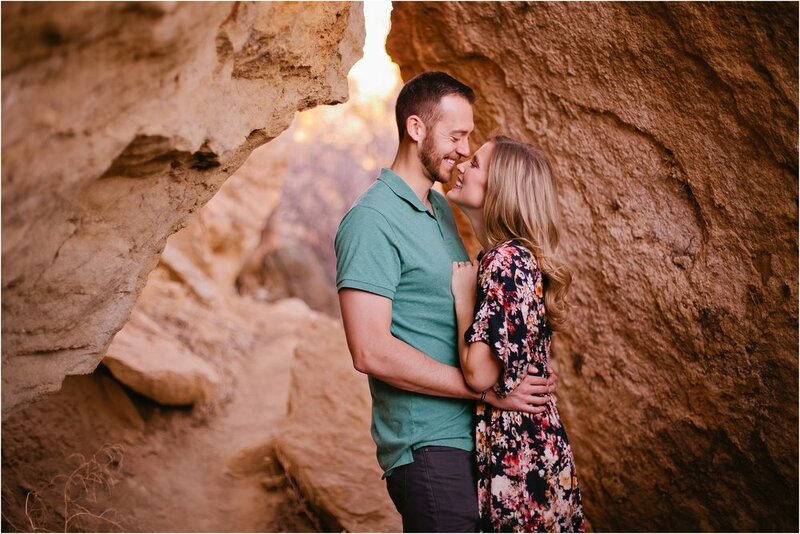 I love an adventurous, outdoorsy girl who is willing to explore and hike to out of the way spots, all while dunning an adorable floral dress and wedge boots. You're amazing, Tristan! 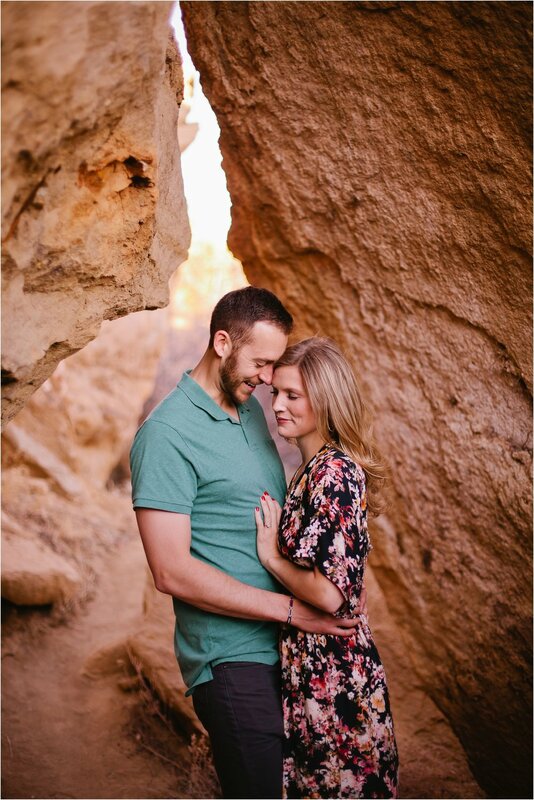 Check out some of Sam and Tristan's romantic and fun engagement session here. I had so much fun with Sam & Tristan! They kept us laughing through the whole session ... right down to the last moment when they pulled out about a dozen "props" from their car that Tristan's mom had sent along for the session. Sam & Tristan are my kind of people! They don't take themselves too seriously ... and feel so comfortable with each other. 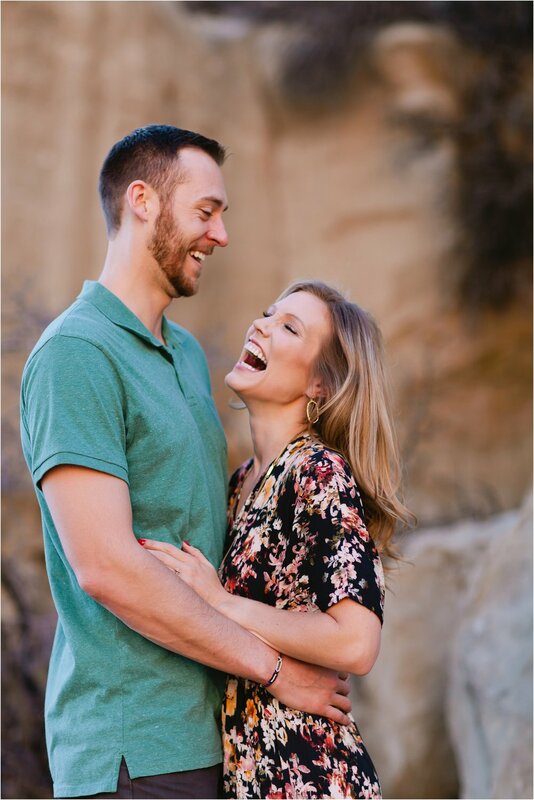 I can't wait to capture more of their joy, laughter, and amazing family and friends in a couple of months when they get married! Sam & Tristan ~ You two are amazing. You are incredibly gifted people ... and yet so down to earth, kind to others and each other, and fill others around you with joy and laughter. The way you enjoy one another, your depth of friendship, and your connection will be such a gift for all the years to come. 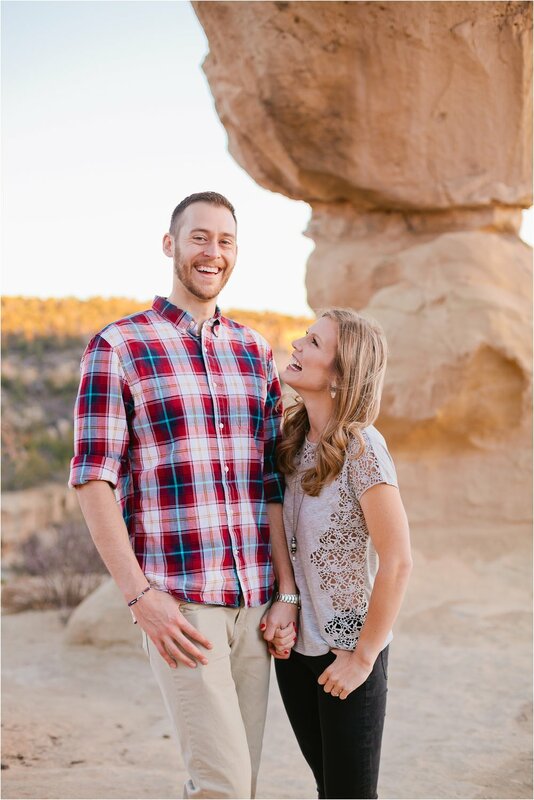 I can't wait for your wedding!